Using his guitar, singer/songwriter C WEST creates inspirational life songs with stylings that blend R&B, Pop & Rock, forming his own unique musical potpourri. The Buffalo, NY native calls it decision making music because the listeners will hear musical messages drawn from the life experiences of C West that speak about the effects of positivity, negativity and spiritual growth, with the options to choose his or her own path. Lead single "Focus" earned #1 Billboard Gospel Most Added and debuted at #28 on the Billboard Gospel Airplay Chart (issue date 7/01) as well as debuting at #27 on the Mediabase Gospel Songs Chart. Songs such as "Hide & Seek," "Breaks Your Heart" & "Unusual Love" will have listeners hard pressed to believe that West is only 20 years old. His perspective and lyrical styling speaks to a maturity beyond his age. However, songs like "Who I Am" & "Don't Let Me Down" create a beautiful dichotomy as he shares the uncertainty and vulnerability of his youth, dependence on God for direction, understanding and assistance through the vicissitudes of life. C West is a 19-year old native of Buffalo, NY with a refreshing look and sound. 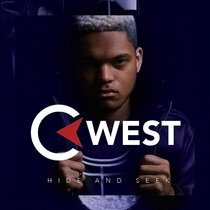 With his guitar and a vibe that could be compared to the likes of Lenny Kravitz, C West is prepared to take the faith based arena and mainstream world by storm. Trust me, people are definitely going to be talking about this compelling young man," says Marquis Boone, CEO of Marquis Boone Enterprises.